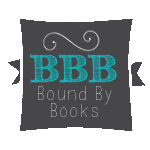 Bound By Books Book Review: Blog Tour: Reaching Rachel by L.L Collins. Blog Tour: Reaching Rachel by L.L Collins. Rachel has always been seen as a wild child, never committing or settling down. She wants it that way, so that no one ever finds out the truth. Deep down, she is crushed over something that happened years ago that resulted in losing the only man she ever loved. Then she meets someone who tries to convince her that she’s ready to commit again. But some things are not what they seem. Realizing too late that she’s in over her head, and with her life on the line, she comes face to face with her past in a way she never thought possible. Devin was in love once, and it destroyed him, making him swear off love forever. After a promotion and subsequent move unexpectedly brings him into the middle of her dangerous situation, he must come face to face with his past and to the woman who broke him into pieces. But she needs help. Desperately. And maybe, just maybe, he didn't know the real truth of their past. Can he help her survive the terrible ordeal she's been through, and during it all, can he safeguard his heart from her? Or will the truth of the pain that has kept them apart show him that he can't live without her after all? Wow, this is the first book I've read by Author LL Collins and it was awesome! Come on, my name's Rachel, I was drawn to the title! Right from the beginning this book drew me in...next thing I know, I'm half way through and didn't want to go to bed.. but having to get the kids up for school and head to work, I HAD to put it down. First thing in the morning though, it was right back in my hands. The characters are so wonderfully well thought out. From the awesome Rachel to Justin (Mark) and Devin (oh my--swoon--) Who wouldn't fall for a SWAT teamer that has a tat and rides a bike! Oh, and Ms. Collins, yes, this is the Rachel who offered to play Rachel Dawson when you finally make this series into a movie! LL Collins is a teacher who loves spending her days in the Florida sun with her husband and boys, reading, and writing. Her love of writing has found a home in the self-publishing world. Living Again and Reaching Rachel are available on Amazon Barnes & Noble, Kobo and iBooks, in both eBook and paperback. LL has been writing since she was old enough to write. Always a story in her head, she finally decided to let the characters out and start writing and try to make her lifelong dreams of becoming an author come true. She has been a teacher for over ten years, a wife for 14, and a mom to two boys, 11 and 9. 1. I wrote a series when I was a kid called “Camp Sticks”. 2. I have always wanted to own a bridal shop with my best friend (I worked at one in college). 3. I met my husband when I was 16 and he was 18. We’ve been together ever since (15 years married this year). 4. I got ‘penalized’ when I was in college in my Writing Workshop classes for always tying my stories into “little bows” (otherwise known as HEA’s) at the end. I don’t like to write cliffhangers, and who wants a sad ending? 5. I was going to be an occupational therapist, but changed my junior year to go with my passion. 6. I’ve been an elementary teacher for over 10 years. 7. I live in the sunny state of Florida, and have my entire life. 8. I have two boys (that are my world) and am completely outnumbered in my house. 9. Two of my closest friends I’ve had since I was in elementary school. 10. I have a love of all things Starbucks after hating coffee most of my life. 11. I’m a very sarcastic person. 12. I’m the oldest child in my family, and that’s why I’m always the boss. 13. I’m a control freak (see #12). 14. I’ve always wanted to travel overseas but haven’t gotten to yet (maybe soon!). 15. I’m completely addicted to my iPhone. If it dies I feel like a limb has been cut off. 16. I’m a procrastinator because I work better under pressure. 17. I’m actually pretty shy, even though I can fake it well. 18. I’m a die-hard Florida State Seminoles fan (and alumni). 19. I secretly wish I could have a cook and a maid. 20. People think I’m a tough cookie, but I actually am quite sensitive. Purchase Living Again (Living Again Series #1) on sale for $1.99!